I recently presented a webinar on “knowledge modeling.” I usually have spoken or written only of creating controlled vocabularies, or more specifically taxonomies, rather than creating knowledge models. Now, I am beginning to think of knowledge models and knowledge modeling. 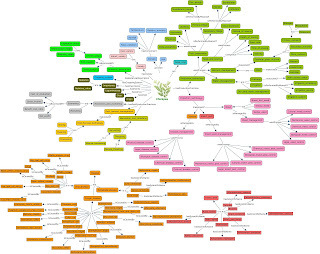 The activity of “knowledge modeling” is also slightly different and more complex than mere “taxonomy creation.” Taxonomy creation involves identifying concepts through obtaining input from stakeholders/users and from surveying the content, possibly with some additional external resources, but the extent of obtaining user input may vary. It is possible to build a taxonomy, especially one for external users, with no user input and just input from some other stakeholders. Knowledge modeling also involves inputs of people and content, but more emphasis is on stakeholder/user input. Content contains information, but people contain knowledge, so knowledge modeling requires the input of various people, with the input gathered in a comprehensive and systematic way, such as through interactive brainstorming workshops and interviews. Furthermore, knowledge modeling does not look at merely content, but starts out considering the body “knowledge” that can be derived from the content. Knowledge modeling may also involve a slightly different thinking of the taxonomist or knowledge modeler. Instead of thinking of what terms are needed for indexing and retrieval of a set of content, the knowledge modeler thinks of what are the possible classes, facets, or concept schemes to describe a domain of knowledge, and what are the various user activities and use cases that could be supported. From there, specific concepts are then created. Taxonomy creation involves a combination of top-down and bottom approaches to the hierarchy of concepts, but knowledge modeling puts more emphasis on the top-down approach. Knowledge modeling is a very apt description for what is involved in designing and creating ontologies, which are knowledge organization systems that describe a domain of knowledge, through concepts, classes of concepts, and customized semantic relationships between concepts of different classes. (Ontologies, by definition, should also follow the OWL standards of the World Wide Web Consortium for data representation.) There are knowledge organization systems which are not ontologies yet make use of some semantic relationships, and designing these also involves the activity knowledge modeling. Determining what additional semantic relationships are desired, how specific they should be, and what they should be named in both directions is very much a knowledge modeling task. Knowledge modeling also suggests that it is an activity of knowledge management and not merely information management. Knowledge management is defined as “the process of capturing, distributing, and effectively using knowledge,”(Tom Davenport, 1994), which goes beyond the mere support of search, discovery, and retrieval. Knowledge management is especially for internal enterprise-level knowledge. 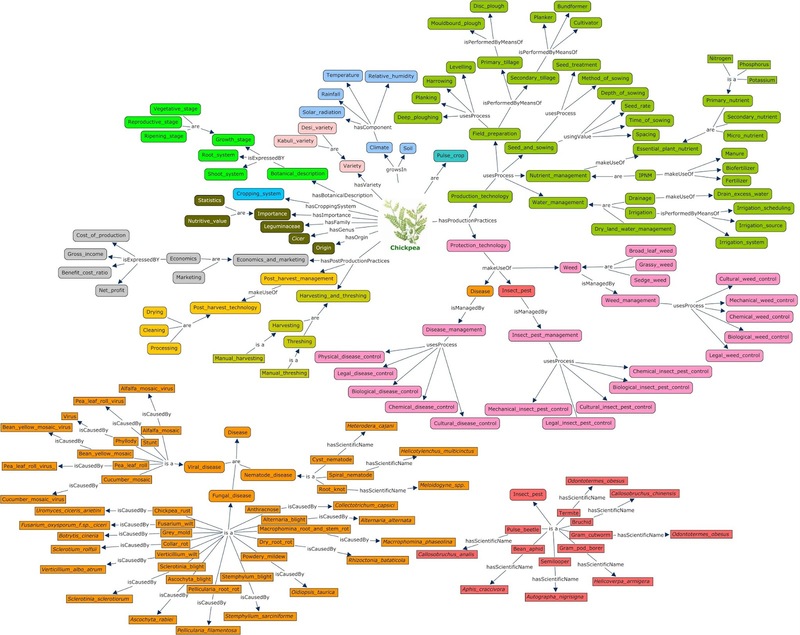 I think knowledge modeling is more challenging than mere taxonomy creation, but I am up for the challenge. Editor’s Note: This article is republished with author’s permission with first publication on her blog – The Accidental Taxonomist.